City officials in the Los Angeles area are trying a new approach to shut down legal marijuana dispensaries: Gouge them in fines. As our Los Angeles marijuana lawyers understand it, officials in Upland are mulling an administrative policy that would impose a fine to a marijuana dispensary for every day that it violates city zoning code. The problem is that the city’s current zoning restrictions prohibit medical marijuana dispensaries from operating anywhere. Over the last several years, seven of Upland’s marijuana dispensary owners have taken the city to court, resulting in more than $500,000 in taxpayer money spent in legal fees. The most prominent of those is G3 Holistic, which has been embroiled in the dispute for the last two years. If the measure is approved, it’s not exactly clear how much the daily fine would be, but considering the city’s goal is to force these legal dispensaries to shut down, bets are it will be rather significant. Marijuana attorneys understand that those trying to run legitimate businesses are being targeted by special interest groups that have skewed the facts and fallen prey to fear mongering. G3 is a prime example. There, the owner and employees were arrested recently, following a federal raid of the property. Officials say the center was illegally trafficking marijuana. Those arrested have all pleaded not guilty. Attorneys for the company say it’s obvious that city officials had a hand in requesting federal government action on G3, after the dispensary was successful in winning an eviction case in late May against its landlord in the West Valley Superior Court in Rancho Cucamonga. That court victory meant that the dispensary could continue to operate. City officials insist they had nothing to do with the federal raid roughly two weeks later. G3 is also challenging the zoning rules in a court case that the state’s Supreme Court has agreed to hear. 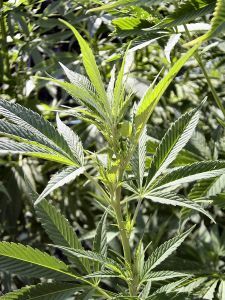 However, attorneys for the dispensaries allege that the federal raid was a preemptive strike that would make the state case irrelevant, as the federal government’s authority supersedes the state’s. Those in the U.S. Attorney’s office deny claims that there was any influence or ulterior motives – but their argument is half-hearted. As of late June, the brothers who owned and operated G3 continued to remain in federal custody. Their operation has essentially been shuttered for now, which means that Upland city staff’s proposed fines would affect the other, mostly smaller dispensaries that have thusfar been able to cling to existence. The city manager may not have heard, but medicinal marijuana has been legal in California since 1996. City officials were quoted as saying they were concerned that the fees could land them in court. Our Los Angeles marijuana attorneys expect it almost certainly will.